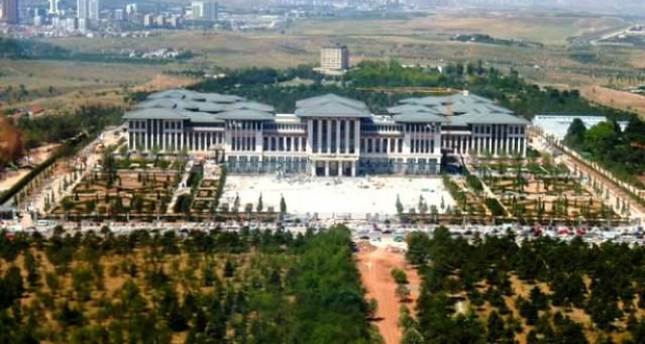 It has been officially announced that the new presidential compound, which has been built on Atatürk Forest Farm grounds to replace the Çankaya Presidential Compound, will be called the "Presidential Palace." The announcement was made at midnight, alongside the announcement for the Oct. 29 reception program. The new presidential compound was tentatively called "Ak Saray," (The White Palace), before it was confirmed as the "Presidential Palace" following the reference during the reception program. For the first time, the Oct. 29 ceremony and the reception held by the president will not be held outside the Çankaya Presidential Palace and will be hosted instead at the newly built Presidential Palace in Beştepe, Ankara. President Erdoğan will accept congratulations from Turkish and foreign guests following the commemoration at Anıtkabir.